'MLM' The American Dream Made Nightmare: Carl Icahn must know that 'Herbalife (HLF)' has been the front for racketeering. Carl Icahn must know that 'Herbalife (HLF)' has been the front for racketeering. Mr. Icahn's profitable trade came in the wake of Mr. Ackman's public accusation (December 2012) that'Herbalife' is a fraudulent and, therefore, effectively-valueless, company, coupled with Mr. Ackman's public declaration that he had, consequently, acquired a short-selling position against 'Herbalife' (on behalf of his own company, Pershing Square Capital) involving $1.2 billion. 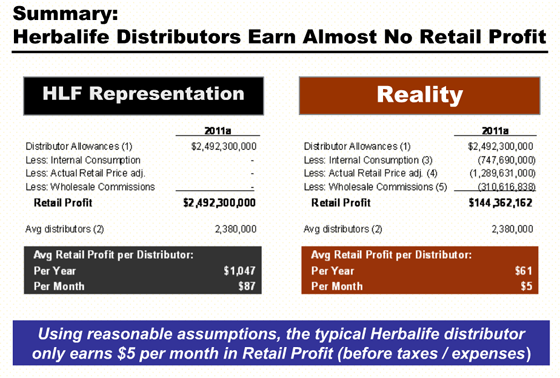 Mr. Ackman's presentation of a detailed evidence-based analysis of the exploitative, hybrid pyramid/snake-oil selling scam which has lurked behind the reality-inverting 'Herbalife/direct selling'propaganda, initially produced a steep decline in the demonstrably-fraudulent company's artificially-inflated share value. However, the failure of US regulators to take immediate action has allowed the'Herbalife' racket to continue. You talk about evidence but what evidence have you got that Icahn 'must know' Herbalifes a fraud? Anyone with an ounce of common sense can immediately tell that 'Herbalife's' so-called 'income opportunity' is a lie, in the same way that anyone with an ounce of common sense can immediately tell that Carl Icahn has made a fortune out of being amoral. However, I think that Carl Icahn, and/or his researchers (who are some the sharpest people on Wall Street), have looked at the evidence and worked out that 'Herbalife' is one of numerous fake direct selling companies which have been allowed to infiltrate traditional culture to point where it has become against the interests of traditional culture to face reality. In other words, Icahn has gambled that 'Herbalife' will not be rigorously investigated and closed-down in the immediate future, because the counterfeit company is part of the wider phenomenon of 'MLM income opportunity' racketeering which has become too big to fail. If, at some point in the future, Carl Icahn discovers that he can make even more money by having the 'Herbalife/MLM' lie exposed, then, rest assured, he will do the quickest about-face in the history of Wall Street. Are you saying Carl Icahn is a criminal? Anonymous - It's perfectly plain what I've been saying, so I'll repeat it, and hopefully Carl Icahn will read it. 1. A mountain of evidence from all around the globe, proves beyond all reasonable doubt that the so-called 'Herbalife MLM income opportunity,' and various other so-called 'MLM income opportunities,' have all been hiding essentially the same blame-the-victim closed-market swindle, or pyramid scam, and related advance fee frauds. 2. Counterfeit, US-based 'Direct Selling' companies like 'Amway', 'Herbalife', 'Nu Skin', 'Xango', 'Forever Living Products', Fortune Hi-Tech Marketing,' etc., have all been the copy-cat, reality-inverting, corporate fronts for ongoing, major, organized crime groups (as defined by the US federal Racketeer Influenced and Corrupt Organizions Act, 1970). Their underlying function has been to prevent, and/or divert, investigation of serious fraud and to isolate the beneficiaries of many millions of criminal acts from liability. Unlike the various, ill-informed, intellectual prostitutes whose services have been bought by 'MLM' racketeers, Carl Icahn cannot be so naive, and/or stupid, as to believe that the incomprehensible Utopian fairy story entitled 'Multi-Level Marketing income opportunity' is true. 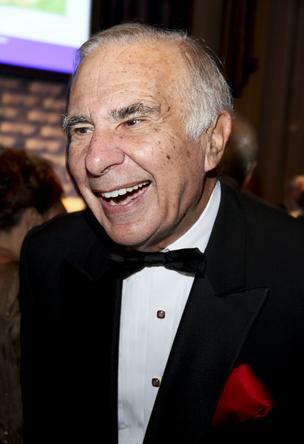 Therefore, Carl Icahn has clearly made a conscious decision to lie in order to make money, but he has gambled that no one in US government, or law enforcement, is of a sufficiently high moral, and intellectual, callibre to be able to challenge the 'MLM income opportunity' lie, because this has been repeated so often, that the truth has become almost unthinkable. Given the enormous number of persons that the 'MLM' lie has damaged, and the fact that the bosses of groups like 'Amway', 'Herbalife','Nu Skin', 'Xango', 'Forever Living Products', Fortune Hi-Tech Marketing,' etc., have all been employing brutal, economic, and psychological, warfare tactics, I would contend that even if amoral scoundrels like Carl Icahn and Michael Johnson were to be charged with racketeering, stripped of their stolen wealth and jailed for the rest of their lives, they are still not being held fully to account. And, further motivation for Icahn to jump on the HLF bandwagon: he has a personal grudge against Ackman. No one can prove that Icahn hasn't invested in HLF for any other reason than it's a great company. He doesn't have a grudge against Ackman anymore. He knows Ackman is blinded to reality by his ego. That how Icahn has made money out of betting on HLF against Ackman. Anonymous - Do you honestly think that Carl Icahn believes 'Herbalife' to be an entirely honest enterprise? Has it never crossed your mind that Icahn might have bought his volatile pile of effectively-valueless shares in 'Herbalife' as a way of making quick and easy money - via steadfastly pretending to be automatically in opposition to Bill Ackman (a man with whom he crossed swords in the past)? Such an innocent act would appear to be a devious strategy to manipulate the market and dodge prosecution. Ackman and Icahn, both out to make money, so what's the difference? Anonymous - For your information: Lying to, or maliciously witholding key-information from, people in order to make money, is fraud which is a form of theft. Short selling remains lawful in the USA, provided short sellers tell the truth and only use information which is already in the public domain. The 'Herbalife' racketeers have sought to hide the key-fact that, apart from an insignificant minority of grinning schills, the so-called 'MLM income opportunity' which they have peddled to many millions of ill-informed persons around the world as viable, and lawful, has always had an effectively 100% loss/churn rate. Bill Ackman has exposed 'Herbalife' as the kitsch corporate front for a pyramid fraud dissimulated behind effectively-unsaleable wampum of a dubious pseudo-scientific nature. He has, therefore, judged the company to be effectively-valueless and he has invested accordingly in (the somewhat naive) expectation that US federal regulators will finally take action and close-down 'Herbalife'. Carl Icahn has not even tried to refute Bill Ackman's evidence-based analysis. On the contrary, he has ignored all the evidence proving that the pernicious 'Herbalife income opportunity' lie has caused widespread suffering, whilst seeking publicly to attack, and ridicule, Bill Ackman's capacities and motives, and damage his reputation. So far, by following the above amoral tactics, Carl Icahn has succeeded in making money from what he must know to be part of an immense racket.